Not too long after we published the results of our .38 Special and .357 magnum ballistic gel tests last year, Federal started shipping their new HST load designed for use in short barrel .38 Special revolvers. Considering the popularity of the Federal HST line, it should be no surprise that we have received dozens of requests to test this one. We finally did just that, and added the results to our interactive chart last week. If you don’t want to scroll through all the test results to find it, just type “HST” in the search box on the chart. This new HST design is fairly unique and, as far as I know, it’s the first time a major ammo company has marketed and sold a .38 Special jacketed hollow point with an almost completely cylindrical profile (but feel free to correct me if you know of an earlier precedent). In the video below, I discuss some of these details further, and I also talk about a “bonus” gel test I ran with this load that you won’t find on our official results chart. As always, you can skip the video and keep scrolling to read the full transcript. See all the .38 Special and .357 Magnum ballistic gel tests results at Lucky Gunner Labs. Last year, Federal introduced a new HST load in .38 Special +P. 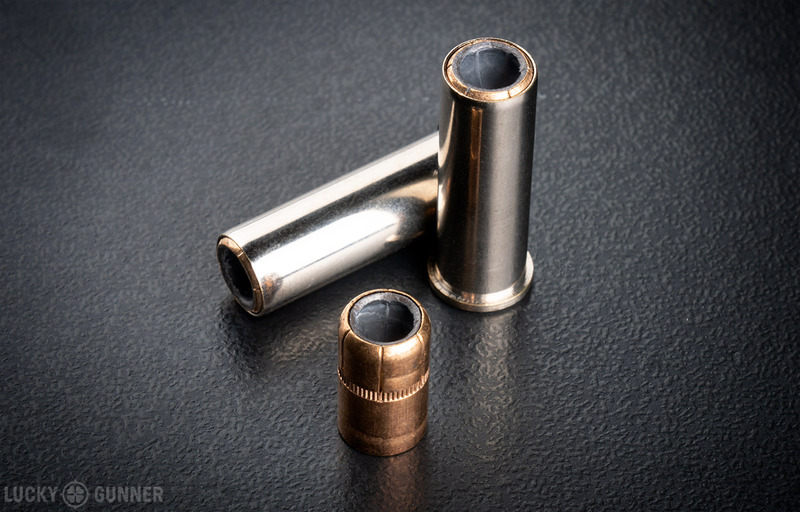 As most of you guys probably already know, the HST line includes some of the best self-defense ammo on the market, but this is the first time they have attached that name to a revolver caliber. We don’t often get to see new hollow point ammo made specifically for .38 Special and with very few exceptions, the existing loads have been pretty unimpressive in terms of terminal ballistics. 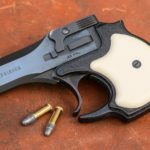 If you’ve got a 4-inch or longer barrel, there are some decent options, but most people who are carrying a revolver these days are using a small frame snub nose with a 2-inch barrel. At the reduced velocities we get out of those guns, it’s tough to design a bullet that will both penetrate and expand reliably. Federal is marketing this new load as a Micro HST, which means it will supposedly perform well even out of a short barrel. 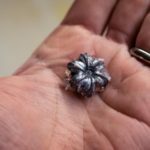 To pull this off, they’re using a 130 grain jacketed hollow point bullet with a unique new design. It’s basically a hollowed out cylinder that’s seated almost flush with the case mouth. Years ago, there was a fad where handloaders would stick wadcutter bullets backwards in the case hoping that would make them expand on impact. It didn’t really work, but this new HST kind of resembles that same concept only with a modern jacketed bullet. So, let’s see how this load does in our ballistic gel test. Just like our previous .38 Special tests, we used a 2-inch Kimber K6s to fire five rounds into a Clear Ballistics gelatin block with a heavy clothing barrier. Then we repeated the test using a 4-inch Ruger GP100. With the 2-inch barrel, we got an average penetration depth of 13 inches — that’s inside of the 12-18 inch standard used by the FBI. Average expansion was an impressive .73 inches. The 4-inch barrel gave us a velocity increase around 30 feet per second, but the gel test results were not much different. Penetration was an inch deeper and expansion was roughly the same. Compared to the 18 other .38 Special loads we have tested so far, this is excellent performance. The Remington Golden Saber and the Winchester PDX-1 were among the best .38s from our first batch of testing, but the HST looks to have a slight advantage in terms of expansion. This is actually on par with the best expansion we’ve seen from even 9mm and .357 magnum. It’s not difficult to see how Federal was able to achieve this. The wide open front of the .38 HST bullet is almost what you might call “pre-expanded.” So it doesn’t get plugged up with the fabric and when it hits the gel, it doesn’t take much for it to open up. Expanded bullets recovered from the gel block used for the 4-inch barrel test. I’ve been pretty impressed with this ammo so far, and in my experience, Federal has some of the best quality control in the ammo industry, so I prefer loading their stuff in my carry guns if at all possible. With that in mind, yesterday I went out to the range to run some of this HST through the Smith & Wesson 342PD J-frame that I carry sometimes. I wanted to check out the point of impact and the recoil in this little 11-ounce monster and at the last minute, I decided to get some chronograph readings too. The barrel is only an eighth of an inch shorter than the 2-inch Kimber test gun, but every revolver is like a unique snowflake and you can’t always assume it will shoot within a specific velocity range based on barrel length alone. This turned out to be a perfect example. The Smith averaged 782 feet per second. That’s pretty slow — it’s 42 feet per second less than the Kimber, which I thought might be enough of a change to potentially have a measurable impact on terminal ballistics. When fired from the S&W 342PD, the HST bullets lost a significant amount of velocity and performance in the gelatin suffered as well. I actually happened to have one spare block of gelatin at the range and some pieces of our heavy clothing fabric barrier, so I did a quick gel test. The first shot looked really nice. Same kind of expansion as before with a respectable penetration depth of 12.8 inches. But (and here’s why we always do a five shot test), the next bullets did not penetrate quite as well. One of them hardly expanded and only made it to 10.4 inches. Recovered bullets from the S&W 342PD gel test. So it looks like this bullet needs a minimum velocity around 800 feet per second in order to give it the best chance of meeting the FBI standard. Even though some of these were under the 12-inch ideal minimum, by .38 Special standards, this is actually not terrible performance overall. I probably would not carry it in this particular gun just because it’s so light and I’d rather have a standard pressure low recoil load that will let me get back on target quicker. With a slightly heavier gun, I would strongly consider using the HST, especially if the velocity clocked in at 800 or better. If you want to take a more detailed look at our .38 Special gel tests, you can find all the data, photos, and videos on our interactive chart at Lucky Gunner Labs. And as always, you can support this project by getting your ammo from us at LuckyGunner.com.